IT'S NEVER TOO EARLY TO BOOK IT !!! It's NEVER too early to book. Jabberwocky has just taken a booking for May 2011.....yes that's MAY 2011!! 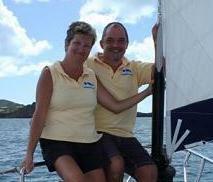 For these guests planning a family wedding in 2011 includes planning a special day and sunset cruise aboard Jabberwocky. A day or sunset trip aboard Jabberwocky makes a perfect celebration . Surprise your partner, book for a special birthday treat, or celebrate a wedding or anniversary in style. Contact us early to reserve that special date. Book early and benefit form the 2010 price guarantee and receive a complimentary bottle of champagne.